The support act, Bloxx, are first to dawn the infamous stage of the Wah Wah Hut, endorsing both their own and Pale Waves’ merchandise. The band are familiar to me due to their newest track ‘Novocain’ garnering a lot of hype amongst the late-night DJs on Radio 1. It’s clear from the muted yet enthusiastic response this track and the rest of their set received that the band aren’t what you could call well-established as of yet, but they seem to be on a steady climb to popularity regardless. The headliners Pale Waves make an entrance by cutting off Robyn’s ‘Dancing On My Own’ (a bold move) to walk on to intense distortion. The frontwoman looks like a cool amalgamation of Alice Glass, Ramona Flowers, and Robert Smith. Yet, despite the neo-gothic aesthetics, the band launch into ‘Television Romance’, their most popular song to date and one of their most poppy. Their jangle-y guitar riffs are done extremely well, but it’s hard to shake the comparisons of their label mates, The 1975. Listened to in isolation, you’d be hard pushed to distinguish which guitar melodies belong to which band. 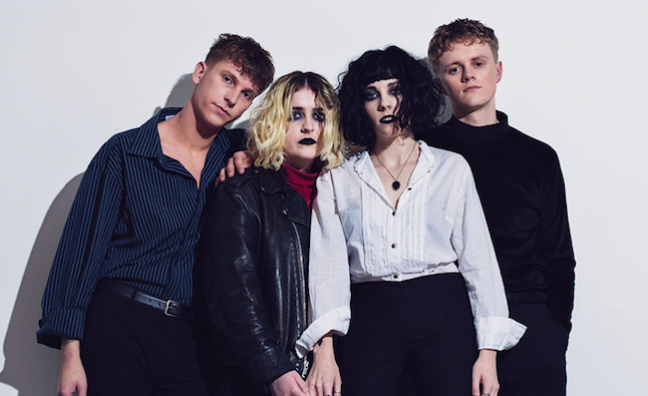 Even lyrically, it’s hard to differentiate Pale Waves from other indie bands with very similar sounds, but Pale Waves are at a disadvantage in that the other bands are more established, having emerged years ago when this trend was at its peak. Although Pale Waves do seem more authentic in their edgy presentation, it doesn’t make up for the lack of originality in sound. They do angst-driven indie pop extremely well, and I can’t deny that watching them live throws me back a few years, leaving me well aware that had I been under the age of 17 at this gig I would be witnessing the soundtrack to my adolescence before my eyes. However, at times they sound like Peace, other times like Honeyblood, Swim Deep, or The 1975, and because of that it’s hard to pin down exactly what Pale Waves have to offer that we haven’t already seen before. Previous Elon Musk: A Grand Visionary or Short-Sighted Businessman?